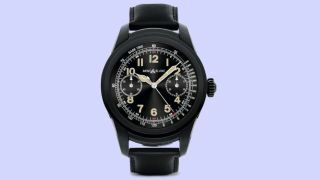 Montblanc, a boutique behind some truly debonair fashion accessories, has announced its first Android Wear smartwatch, the Montblanc Summit. Borrowing the style of its many analog timepieces, Montblanc has crafted what looks to be one of the most stylish smartwatches available with Google’s brains inside. Running the latest Android Wear 2.0 software, the Summit is much like other watches that are currently out, like the flagship efforts from LG and Google, the LG Watch Sport and LG Watch Style. With that, this new entry to the platform boasts compatibility with both iOS and Android, has its own Play Store for native apps and introduces a much cleaner looking interface on the whole. For all that makes Montblanc’s debut similar to other smartwatches, like its Snapdragon Wear 2100 mobile platform, 512MB of RAM and 4GB of internal storage for apps and music, it distances itself with a keen focus on the little details. This IP68-protected watch can withstand the elements, which is impressive given its fashion-forward look. The 400 x 400 AMOLED display is covered with sapphire glass, a feat that only the original Huawei Watch can match with its sapphire crystal-covered screen. However, Montblanc applies a subtle curve to the glass that makes it stand out amongst the rapidly-growing crowd of smartwatches. While the Android Wear 2.0 update hasn’t convinced early pioneers of the category, like Motorola, to release a new smartwatch, it has been a boon for attracting reputable brands in the fashion industry, like Montblanc, Tag Heuer and Movado. The Summit will retail for $890 starting in May, a price that puts it well above many options out there. However, it’s definitely not the most expensive. Take the Tag Heuer Connected for example, which costs $1,500 (£1,100, AU$2,100). Sure, lacking desired features like GPS and LTE certainly don’t help its cause, but with a heart-rate sensor, waterproof qualities all wrapped up into an eye-catching design, Montblanc might be onto something here.